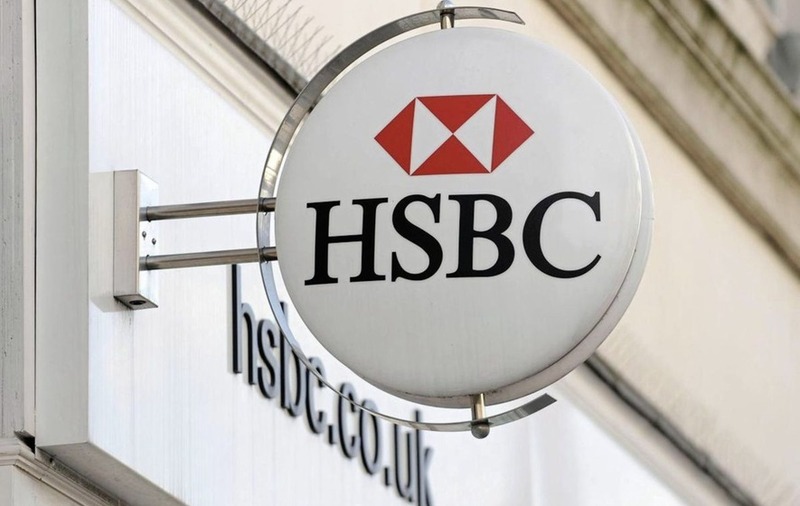 HSBC reported a near five-fold rise in third quarter profits, as the banking giant pushed forward with its cost cutting programme and benefited from its pivot to Asia. The lender said pre-tax profits rose to 4.6 billion (£3.5 billion) in the three months to September 30, marking a 448 per cent jump compared to 843 million (£642 million) during the same period last year. Reported revenue for the quarter came in at 12.98 billion (£9.9 billion), marking a slight slowdown from 13.17 billion (£10 billion) in the previous quarter, but a 36 per cent rise from 9.51 billion (£7.2 billion) a year earlier. HSBC said it experienced growth across three of its main businesses, with revenue increasing across its retail banking and wealth management operations, commercial banking, as well as its global banking and markets division. Chief executive Stuart Gulliver cheered the lender's results, saying it "maintained good momentum in the third quarter", and was making "good progress" with the strategic overhaul it launched back in 2015. Mr Gulliver has overseen stringent job cuts and asset sales as part of efforts to boost profits, and on Monday assured investors that it was on track to deliver around 6 billion (£4.6 billion) in cost savings by the end of the year. HSBC said it has already saved around 5.2 billion (£4 billion) during the financial year, having achieved 600 million (£457 million) in cost savings in the third quarter. The bank has also reaped the benefits of a greater focus on Asia. "Our international network continued to deliver strong growth in the third quarter, and our pivot to Asia is driving higher returns and lending growth, particularly in Hong Kong," Mr Gulliver said. HSBC said that its Asian pivot helped drive over 70 per cent of its adjusted profit for the first nine months of the financial year, and 17 per cent of lending growth in the third quarter, compared to the same period in 2016. The bank added that it had completed around 71 per cent of its 2 billion (£1.5 billion) share buy-back scheme, which was first announced in July. HSBC's London listed shares were down around 0.2 per cent or 1.8p at 746.5 p at the start of trading. It is the first set of results since HSBC announced it had appointed John Flint as its new chief executive, replacing the long-standing Mr Gulliver. Mr Flint, who currently heads up retail banking and wealth management at the lender, will take up the role on February 21. His appointment will see Mr Gulliver end a seven year stint at the banking giant when he retires. Mr Flint joined the lender as an international officer in 1989, having spent the first 14 years of his career in Asia, helping to establish and expand the bank's global markets business in the region before moving back to London in 2004. His Asian stint will be crucial for HSBC as he is likely to continue Mr Gulliver's so called "pivot" to the fast-growing continent.